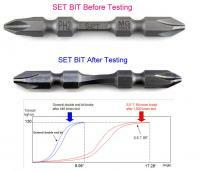 A heavy duty double ended power bit is designed to use with professional power & Pneumatic tools. Unique diameter of reduced shaft in middle section is developed to withstand higher torque and continuous impact action from impact drivers. The special torsion section performs higher torque angle to absorb high peak loads of impact drivers. 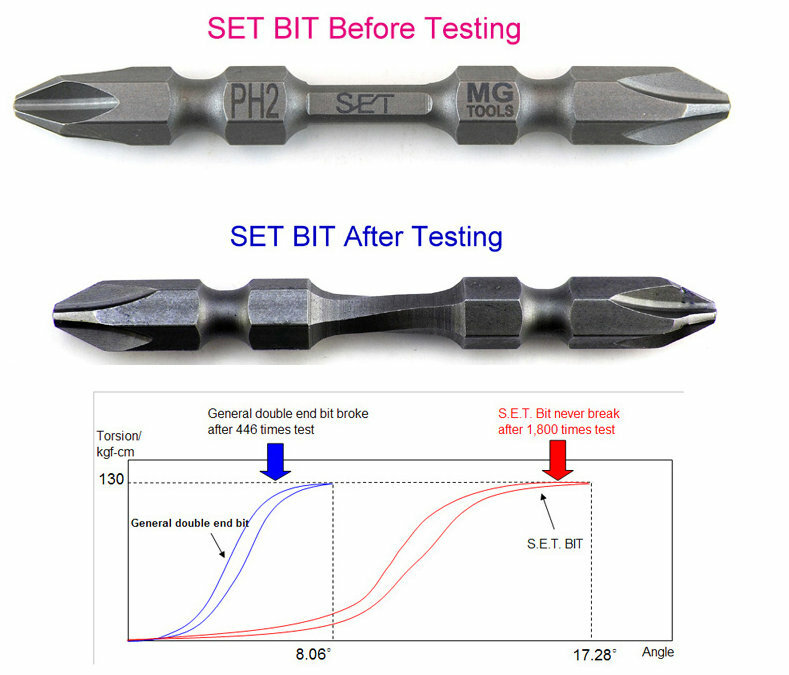 The bit life is etremely longer than universal bit, and never breaks after 1800 times test.